EZI-ROC cliff panels are an identical reproduction of a section of cliff face at a local quarry. 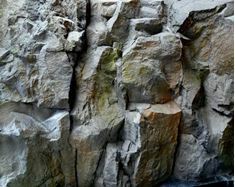 They can be used individually or fitted together to create an impressive cliff face where one would least expect it, even in your lounge, or beside the pool. CLICK on the image below to VIEW ENLARGEMENTS.